How do I view my client's program(s)? 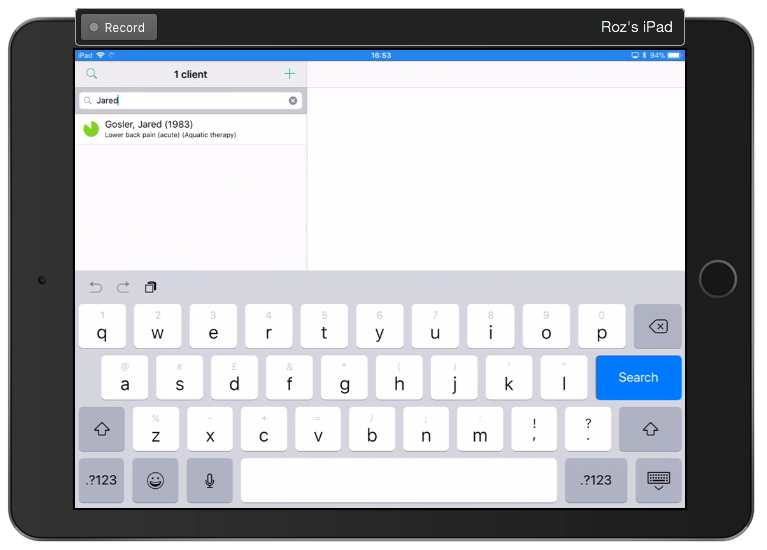 Physitrack keeps a record of the content you have sent to your patient. It is easy to refer back to this content via their file in the "Clients" menu. Go to Clients and and find your client's name in the list, or by using the search bar. Tap on your client's name to open up their file. On the left you will see a list of programs with a current program at the top below your client's name, and any past programs listed underneath. To view a specific program, tap on the program in the left side list (it will highlight in green). 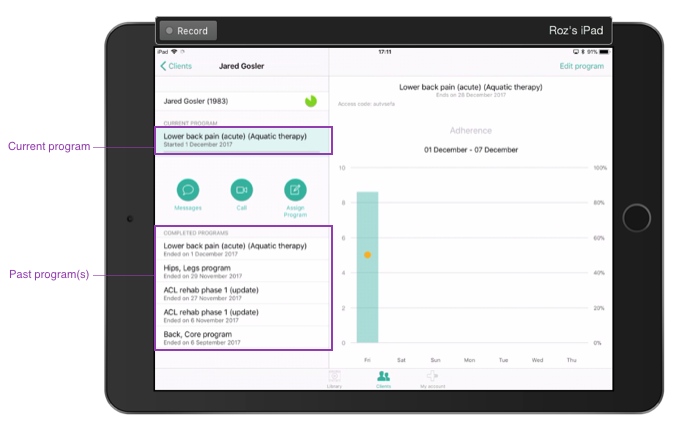 Adherence and pain tracking for this program is displayed in the graph to the right (above). Tapping on the bar for a specific day will open up the breakdown of pain and adherence for each exercise on that day (below). To view the exercises for a program, tap the "Edit program" button in the top right corner (image above in point 2). Here you can also update the program, adding new exercises via the "+" symbol at the bottom of the screen, and/or editing the program duration, tracking, education and PROM content via the patient name. How do I update an existing program? How do I restart an exercise program? What is the "Clients" menu? An introduction.